I use WordPress for most of my work. Whether I’m building WordPress websites for clients, or I’m writing blog posts and developing content for my own sites. Everything I do tends to involve WordPress. However, I donâ€™t like always having to do things in the browser. Trust me, I have enough tabs open as it is. 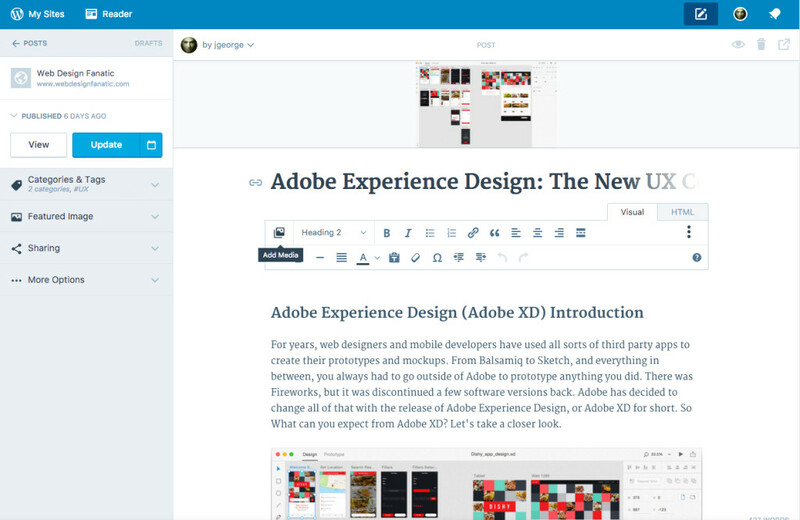 Thatâ€™s why I was excited to hear about Calypso, WordPressâ€™ desktop app for writing and editing blog posts. Iâ€™ve been wanting a separate desktop app for a long time, so I decided to try it out. Are You Managing Multiple WordPress Sites? Calypso is perfect for you! 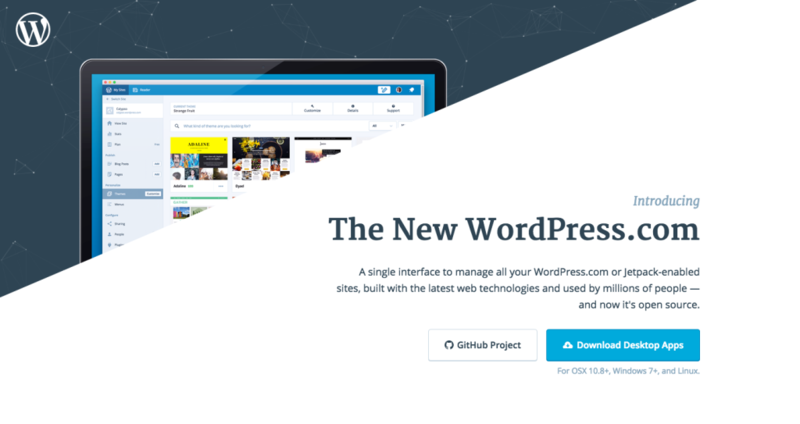 All you need to do is download the desktop apps from WordPress.com and enable management from the dashboard of each site (or Jetpack for self hosted sites). Then, you can edit posts as needed, updating them with new content. You can also create new posts. You can go to the icon of your profile and go down to the bottom right section where it says to add a WordPress site. Imagine not having to log in and out of every WordPress site you own. 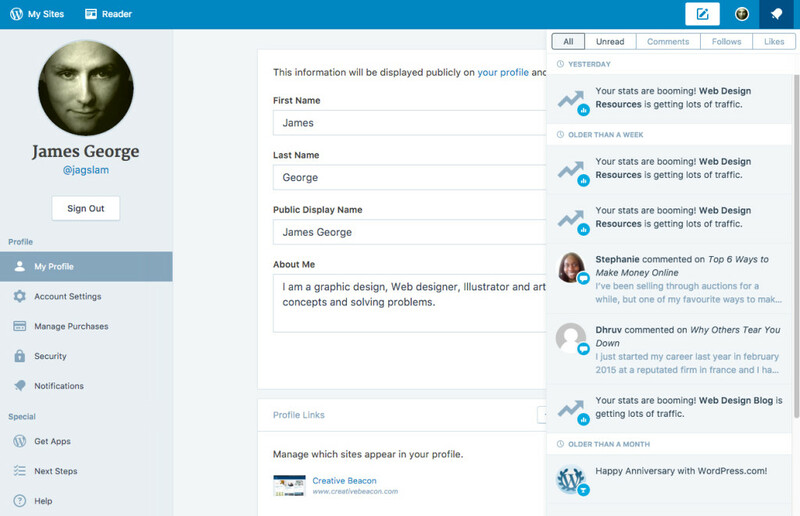 You can simply log into the Calypso interface and make a site active for adding or editing posts. After youâ€™ve entered the credentials for all of your sites, you can click on ‘My Sites’ in the top left corner of the app, and youâ€™ll see a stats page for the most recent site selected. Youâ€™ll see information about the number of visits youâ€™ve received, where they are from and their search terms, and what posts and pages they have visited. Youâ€™ll also see the top referring sites that are sending visitors to your website. In the bar graph, the most recent day is highlighted in orange, but you can click on any of the other bars to see that dateâ€™s stats. This is extremely handy if you saw a spike in traffic on a particular day and want to investigate the origin. To switch to a different site, click the back arrow that is labeled ‘Switch Sites’ in the top left portion of the app. 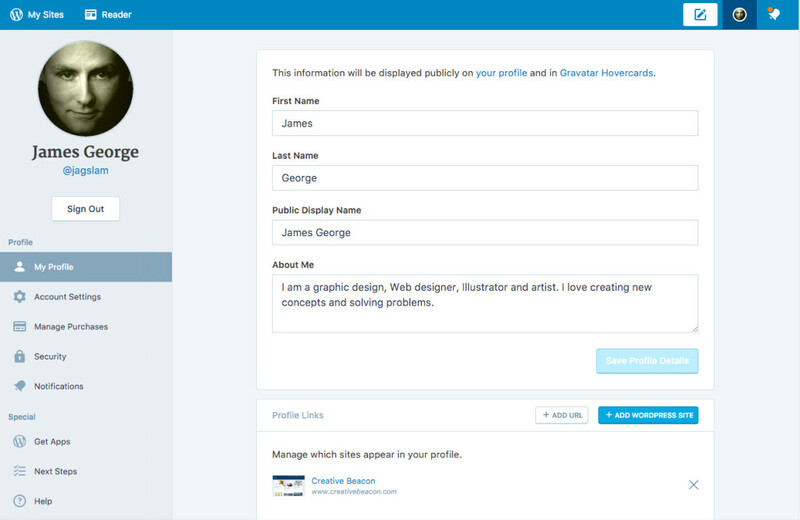 For any of the websites you manage, you can view, edit and create new posts and pages. In the example, I clicked on the blog posts menu, and it shows a list of posts and their featured images. From here, you can click edit, to edit posts, adding more content, or you can click the trash icon to delete them. What I like about Calypso is that it gives you stats on how many views each of your posts has received, one by one. One stand out feature I like is that when you click on stats under each post, it breaks down views of that post by individual days. This is a great way to see how different posts are doing on your site. When youâ€™re looking at your overall stats for a particular site, it will also give you more detailed information. If you click on the insights tabs, it will show you your most popular post day and time, as well as what percentage of views it has. It will also show you who is following your site and recent commenters. If something is happening on one of your WordPress sites, you can see it and manage it all from one interface. For example, if you are seeing an unusual spike in traffic, it will say that your siteâ€™s stats are booming. It will also mention any recent comments left on your site. This makes it easy to manage keeping up with multiple sites and numerous comments across the board. One drawback that I can see with the WordPress.com Calypso app is that you canâ€™t manage plugins for each site unless you install Jetpack Manage. Depending on how your theme is built, sometimes Jetpack can cause conflicts with your site. This is only in isolated circumstances, though. However, I still donâ€™t like the idea of adding another plugin to my site to enable managing functionality in a desktop app. 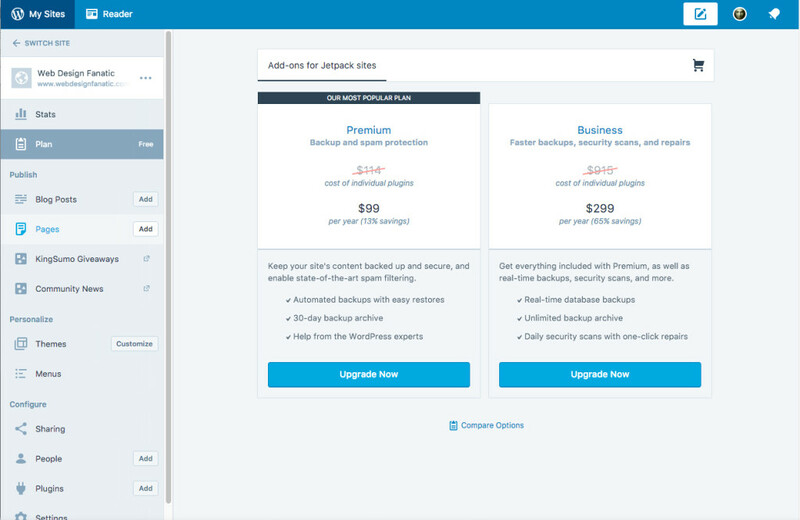 Itâ€™s not built into the application, but some of the added features you can tack on at a reasonable price are site backups, spam protection and site restoration. This is a big deal to most site owners, because regular backups mean that your site can be restored if something goes wrong. Spam protection means you wonâ€™t be battling spam comments, which even with Akismet, can seem like a constant battle. Security scans will help keep your site clean and clear from malware. I just recently worked on a clientâ€™s site whoâ€™s mobile traffic was being redirected to malware and spam websites. It was a chore to diagnose and clean up, so having that added security may be worth it to you in the long run. The Calypso WordPress desktop app can be a great tool in the arsenal of anyone running one or more WordPress sites. The app performs well, seemingly running faster than the actual back end of a WordPress site. My thoughts are that this is due to the fact that it isnâ€™t running in the browser, but natively on the desktop. 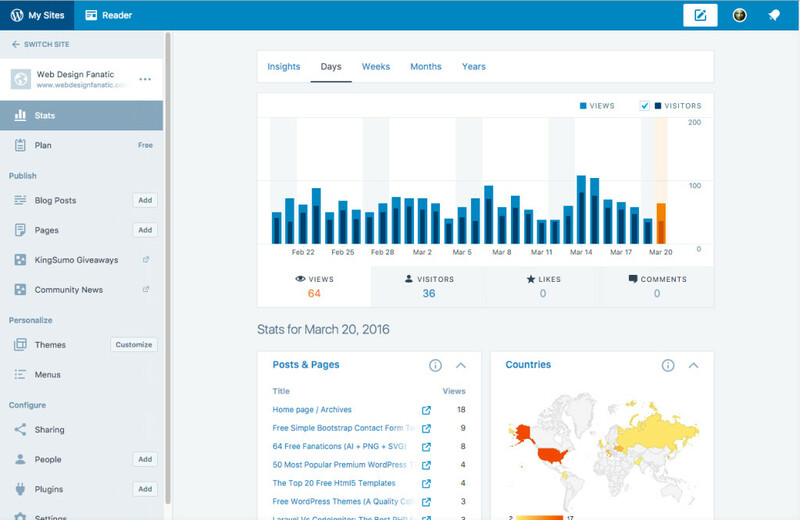 If you are someone who likes to look at the stats of posts and analyze the traffic of each WordPress site in depth, Calypso may be a good choice for you. You can hop from site to site, saving time when managing your blogging empire. Have you used the Calypso app? What are your thoughts?